RJ Builders Construction Blog | RJ Builders, Inc. This is probably one of the most important questions to start the building process. Going over your plans with various contractors and home builders before you decide is critical. You shouldn't go to one and be done unless you know for sure it's exactly what you want. It's a better idea to get quotes and get a feel for the person(s) that will be the ones constructing your dream home. Because remember, you have to live where - they only have to build it. The cost plays a big factor because constructing a new house from the ground up is a lot different than purchasing a pre-built model and setting it on the property. Also, credit scores and loans will come into play here, so it's best to have those things in order before getting started. 2. Where/What can you build? Since Florida is a pretty wet state thanks to rain, many lakes, and the beaches; it's essential to know about the land you'll be building on. If you have dreams of a large basement, this can be impossible in almost all of Florida. This is because, during construction, it doesn't take long to hit water or in some cases, natural minerals like limestone. The water table is too high to have anything more than a small crawl space in Florida, especially in South Florida. It would create too much moisture and eventually leave you with more repairs to fix than anything. 3. How much time are you allowing? 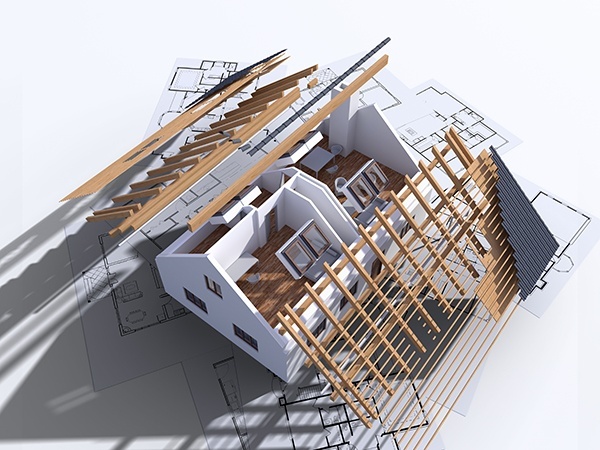 If your blueprints are large and extravagant, prepare to be waiting some time to have that dream home entirely constructed. As stated before, it's a much different process than to purchase an already built house. You are working from the ground up which means everything will be new and you'll be the first to use it, but it also means it will take a lot more time to make sure everything is perfect and to your liking. 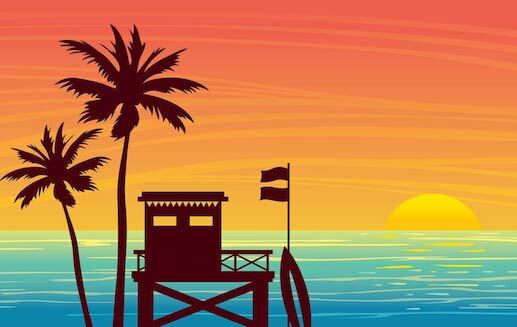 Throughout Florida are, various codes and regulations that need to be met that vary from county to county. Wherever you are building, be sure to do your homework as to how long it takes permits and the like to be approved and pushed through. That way you're not in a pickle because the process is a few months past what you thought it would be. This allows you to make sure you're still living in a comfortable state before finally moving into your dream home. Florida is a beautiful place to build a home and live peacefully. 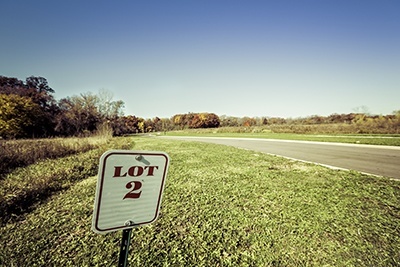 Making sure your priorities are in order before breaking ground will ensure you have a lot to look forward to in the upcoming construction months. Keeping these main questions in the back of your head will put you on that path to making your dream home a reality. RJ Builders can help you with every aspect of building your home in Florida, contact our team today. If you're able to take that step into constructing an addition to your already existing home, one of the first questions asked is how much is it going to cost? A few factors come into play here. First, you need to decide how big you want your room addition to be. The square footage is where the main cost is. Typically there are three categories for additions, the additional room that can be built out and up, a sunroom, and a detached addition. They all vary in their prices, again depending on size, but sit between the $10,000-$20,000 range when all is said and done. Once you have the room(s) planned out, it's time to figure out what will be going in the room as far as utilities are concerned. 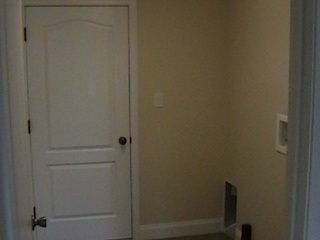 Does your room need electricity/heat/water/etc.? These can add to the initial cost of the construction of the room, so it's good to know them ahead of time. For example, if you're adding a detached addition, you can usually purchase these already preassembled in a shed-like style. This means you won't need to worry about roofing costs, but if you're building the addition onto an existing home, roofing costs average $80-$100 per square foot. Another example is adding windows which can average $300-$700 per window, while the detached additions have models with pre-installed window units. Figuring out the right room addition for your expanding home is the first step in making your dream home a reality. Map out the best plans for the new room to fit your budget and get the most out of building an addition. RJ Builders can help with any building project you have. Contact our team to get started. Home repairs come alongside owning a home, and unfortunately, the costs can add up quickly if you're always calling a handyman. Thankfully there are a few DIY things a homeowner can do to stay on top of the upkeep and well being of their home. It's essential to have a few critical tools stored away just in case these things pop up. At the very least, make sure you have the following three tools in your toolbox - just in case! Skip the bulky 50+ piece toolkit and get a manual screwdriver set instead. This is probably the most used tool in a household; almost everything has a screw somewhere. Make sure to pay attention to the number of interchangeable heads for the screwdriver set. The more to choose from, the better. That way you'll never have to search high and low for a special specific screwdriver in a random assortment of tools. 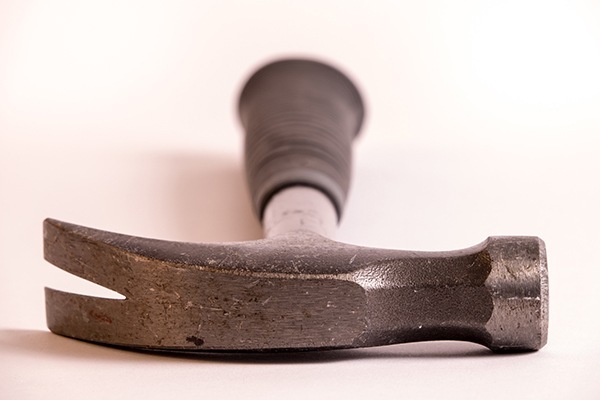 A claw hammer is an excellent staple for home improvement and is essential for a homeowner to have. It's such a common household item that you probably already have one in the garage or tucked away in a drawer somewhere. The hammer itself is pretty basic, with the flat end to make a smooth impact with whatever it contacts and the split V end to remove loose nails or other stubborn objects protruding from various spots. Claw hammers are very resistant, but it's still wise to purchase one with weather resistance if left outdoors and proper ergonomics for your arms. Power tools may seem scary to some homeowners during DIY home repairs, but having a cordless drill tucked away is a smart decision. A cordless drill could quickly turn into one of the most used tools in your arsenal. There are some things a screwdriver can't get, even with multiple heads to choose from. It's also essential that it's a cordless unit and not a traditional plug-in model. This eliminates the search for a nearby outlet or using a potentially dangerous extension cord. Take a look in your toolbox and check what's inside. If you don't have any of these three things, it's time to go shopping! 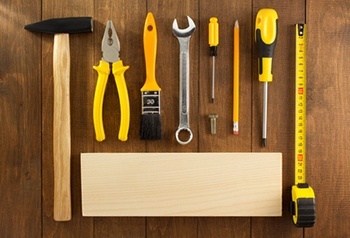 A little pre-planning with the right tools and a google search or two can save you from calling an expensive handyman. The times, they're a-changing' - and so are building plans for new homes in 2018. What was once constructing a new house with simple one-dimensional building supplies, is now a whole new venture into what is commonly known as "smart homes." A smart home is a way to incorporate the newest technology into your unique modern home. It can be done as an addition to an already constructed home, but if you're planning on starting from the ground up, it can make life a whole lot easier. With so much new technology to choose from, where does one begin figuring out what will go into their new home? It's best to pick the right kind of home tech that suits your needs, rather than go overboard with unnecessary features or just not the right type of features. This means asking yourself what you and your family could benefit most from and what fits best for the lifestyle you have. A security system built into the home's wiring with a feed visible on your cell phone could be a significant upgrade that would benefit almost any lifestyle, whereas a remote setting for window blinds may not be on the top of the list of technological needs. Wiring from the ground up for a smart home is critical, and also much easier to accomplish if it's new construction - rather than adding on the preexisting house. This ensures that the wiring is specific for the advanced technology used in the house and will not interfere or overpower already pre-set wiring. Constructing a new home with top of the line tech also ups the resell value of the house if that time should come. It gives the seller an edge in the market because of the advancements during the building phase. Smart homes are constructed with being smart in mind, hence the name. This advancement will keep your modern home up with the times and possibly even ahead of them as well. With the advancement of the internet, it has opened up many new job opportunities in all different fields. The rise of more online work prompts a lot of stay at home business, which can keep someone very occupied. It’s important to stay organized in a workspace, and it can be a hard thing to manage when your workspace is also your home. It may be time to add a home office to your home and give you that sense of organization and comfort that keep you working efficiently. A home office addition doesn’t need to be an entirely new room added on to your home unless you want it to be. A smaller room, maybe a guest room that doesn’t get used very often, or even a somewhat spacious utility room could be the perfect fit for a new office. Just make sure you have enough room for what you need to work with, such as a desk, a computer, a printer, or anything else onto the work at hand. 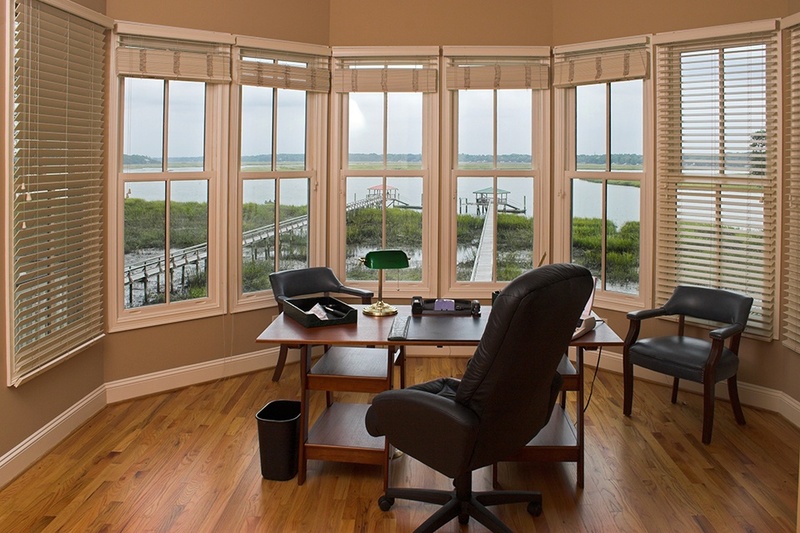 Working from home in your private office will save you money as well! If the job calls for you to be at home full-time, this could eliminate any gas costs that you’d typically have to use on the commute to and from work. Same goes for the amount of money spent on take-out food that would usually be sent to the office when now you can rely on your own grocery choices in your fridge. But of course not everyone with a home office strictly works just from home, so while those benefits are still excellent – they may not matter to some. There is always a way of having a home office can save you money though! When tax time rolls around, your home office is a complete write-off. Just make sure there is a clear separation of rooms between your home and the office. Something as simple as a screen qualifies as a “wall," so you could technically turn your front or back porch into an office too! Your home office could get you a deduction of up to $1,500. Of course one of the best benefits of having a home office is all the time you get to spend with family at home. Granted the time in the office will be spent working typically, it has been proven that parents who work at home end up spending more quality time with their children. It is a good idea to lay out some ground rules first, like no disruption between certain times. Ensuring your privacy and peace while your work is finished. All in all, having a home office in your home can be a great idea. Saving you money and keeping yourself organized and family oriented without sacrifice! 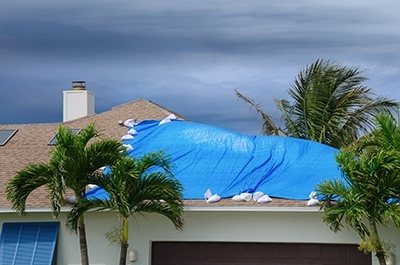 For the majority of the U.S., hurricane preparedness isn’t something that comes second hand, but here in Florida, it does. Hurricane season brings on more and more storms each year, some thankfully never touching land, but some do, and those some can cause massive destruction. Florida is notorious for hurricane action; it’s even the mascot of many hometown high schools throughout the state. But how does a place like Florida combat these monster storms year after year? What does it take to build a building or home that can withstand the likes of a Florida hurricane? For that answer, we have to take it all the way back to 1992 when Hurricane Andrew slammed its way into Miami. The devastation and destruction that this storm left behind made builders, and everyone else, aware of how shoddily some of these homes were built; how quickly it took houses to crumble and basically disappear among the wreckage was only a sign of things to come if the buildings didn’t get stronger and things needed to be done up to code. After Andrew, Florida now requires much stricter enforcement of the building codes. 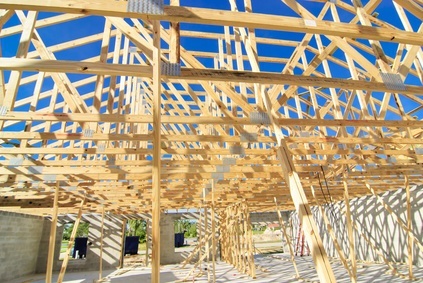 The primary focus of the newly enforced building codes were roof integrity and wind resistance, two very vital factors for a home during hurricane season. These revamped codes also prohibited the use of particle board, which was a favorite building material used on dwellings pre-Andrew. These statewide codes finally took effect in 2002, superseding any local city codes that may be already in place. The primary focus again relies on the parts of the home that take the most brunt force from the hurricane itself. Something to keep in mind when building or purchasing a home and having to go by the code, it never hurts to be over-prepared. A sturdy roof with angles to roll off any rain runoff, and take any limbs that could come in contact with that roof. Since Andrew, and the many hurricanes that have hit land since then, Florida has remained in one piece for the most part. Just this past hurricane season brought the most significant storm yet, Hurricane Irma; a storm that was so big it completely covered the entire state of Florida for hours at a time. While numerous casualties, unfortunately, occur, mostly after the storm than during, the majority of structures still remained structurally sound. And as the years go on, and the hurricanes keep blowing in, codes will continue to be updated and upgraded as stronger and more reliable options arise. Keeping Florida afloat during a very windy and wet time. Growing your produce is becoming an increasingly popular hobby, providing a person and their family with fresh fruits and vegetables from their backyard. Sometimes the weather can be harsh and ruin months worth of hard work in a matter of seconds. That is why it’s important to protect and cover your plants by enclosing them in an adequately sized greenhouse. Here are the top 5 ways to build a greenhouse for sustainability, making sure your plant haven is as eco-friendly as possible. Location, location, location! When determining a spot for your new greenhouse, make sure to utilize the area with the most sunlight. Placement along an east-west orientation with the longest side facing south will maximize available sunlight (Hendricks). Once a greenhouse is constructed, it is not as easy as it looks to move to a new spot, so make sure you choose your sunny spot wisely! Turn the old, into new! Any old or broken items from your home could be repurposed in the green house. Old wood, broken doors or railings, various building materials and their odds and ends could be recycled into a “new” floor for the greenhouse. Even old glass could be reused, making makeshift “stained glass” panels. Bigger isn’t always better. Don’t go overboard with the size of your greenhouse. Yes, you want to have the ability to move around without knocking over plants or stepping on a tomato, but too big could be a waste of money. Work out a comfortable space for you and go from there. Keep the windows and doors closed tight! Insulation is a very important factor in building a greenhouse. It helps to not burn up unnecessary energy and also keeps your plants and their best. Keep your energy clean! It’s recommended to try and use as little energy/power as possible when working in a greenhouse, but sometimes it is necessary. If it’s needed in your case, solar panels may be perfect for you. This will provide the energy needed without the waste. 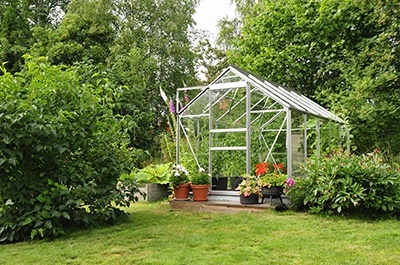 These tips will help make your new greenhouse last and stay friendly to the environment, the way a greenhouse should! I need to remodel my office building, where do I start? The best piece of advice to remember when considering a remodel is: Always, always, always have a plan. 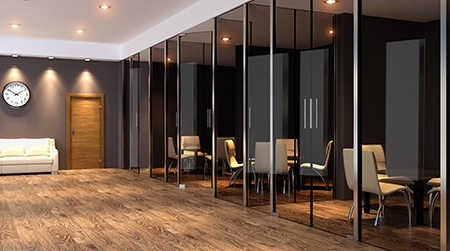 When you’re in a hurry to upgrade or improve your office building, it’s tempting to want to take matters into your own hands - but this leads to costly mistakes more often than not. Something as simple as forgetting to turn off your water main or using the wrong tools results in massive flooding and water damage to your building, costing you much more than it would have had you hired a professional. Begin with a design. A talented builder understands your aesthetic and helps you design your perfect remodel plan. A lot of elements interact within a space — put them all down on paper and problems are caught before they are built. Some projects require the skill of an architect, some the skill of an interior designer, and the simplest way to tie them all together is with the help of a skilled contractor. Be open to suggestions. Your ideas are vital to the success of your remodeling project, so why not consider alternative methods of achieving them? Suggestions made by your contractor should include methods for better functionality, lower long-term savings, insurance standards for materials, and more. Be sure to ask questions regarding suggestions until you fully understand how they benefit you, not how they make the contractor more money. Determine which features can be and should be saved. If your building’s system controls, mechanical units, or lobby lighting were recently replaced or updated, find out how to seek an Energy Star rating. 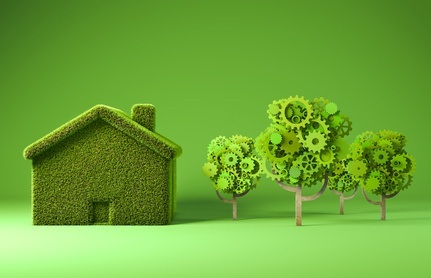 This is an indication that your building has lower energy consumption than other buildings of the same type and size. This lets potential occupants or tenants know that they can expect lower utility expenses. Focus on both the inside and the outside. First impressions are everything. You want your clients to remember both the inside and outside aesthetic appeal of your building. Landscaping and seasonal flowers easily freshen up the outside, while simple solutions to the inside come in the form of new carpet patterns and colors, up to date finishes in the elevators, restrooms and lobbies. There is nothing more rewarding than enjoying a new home you’ve earned, on your property. Seems like a day dream, and in this scenario, everything should be perfect, right? Well, there’s a lot more to it than just setting your new home, or foundation, in any old spot on your land! Here you will find the top 5 tips in siting your house in the most functioning and comfortable spot of land. A big one would be the slope of the land you’re building or setting your new home on. Is it slanted? Are there dips/hills/soft spots to avoid? Being uphill will typically require a more expensive and intricate sewer hookup. Also, if you’re downhill some things to consider are how will the hill itself affect your view? And will it be an issue when it comes to rainy seasons? Figuring out the topography of your land before youbuild will save you a lot of hassle and money if you can set your home in specific areas. Taking it back to a small point made in #1, the view from your home plays into the placement on the property as well. If you are located on hilly land, is your view obstructed to just the hills? How will the sun rise and set through where you’ve decided to put windows? It is also good to be future-minded in this aspect as well. Neighborhoods are ever changing, is the spot you put your home going to keep its nice views throughout the years? It’s difficult to tell what will last through that time, but a good example of this is in a rural setting. Imagine siting your home with the perfect positioning to see your neighbor’s beautiful garden and greenhouses, only to be sold after a few years and be replaced with a more commercial nursery – leaving your view with miles of white tents. Do your research on typical weather patterns for the area you’re looking to build on. If the area is at high risk for fast and sometimes rough winds, you may want to build near trees or large hedges to help break up the wind. Even if these elements aren’t large yet, they will grow or can be replanted in crucial points of the home after it’s been set. Do you eventually plan on building more on the house? Maybe a bigger garage, or a shed, or even a basement. Will the ground you build on support a new level underground? Would you want your shed up on a hill and out of the way? Maybe even a mother-in-law apartment for visiting family. If you start out with a specific house plan for JUST your home and nothing else for in the future, it could leave you with limited space and not enough breathing room for future projects. And finally, talk to a professional!!! Although there are many DIY videos and articles out there for building rooms to building entire homes, this is something that you should get a professional opinion on. This is something they deal with every day, so their insight is crucial and important to the longevity and live-ability of your future home. When deciding on a new home or building, there is one major choice you have to make before going any further. Do you want to purchase an already constructed one, or should you work from the ground up? Is there a better benefit in building your own constructed home rather than buying an existing one? The following will help to show those benefits of building new construction, be it a new home, commercial building, or any other workable places. While it is typically more expensive to build your own home, it without a doubt will include everything you want. There won’t be any worry of liking certain parts of the home and hating other parts. You have complete control over what goes where, and how things will eventually come together. This rings true for other building types as well. Creative freedom and collaboration with an architect can produce amazing results. Alongside having full control over the cosmetics of the construction, you have to build with up to date codes. This means there will be the most up to date electrical system as well as HVAC and insulation. This provides the home/building with much better energy efficiency which is better for the environment and your wallet every month on utility bills. With this kind of energy efficiency, building a new construction also has a health benefit as well. Seems like a strange thing to say but it’s true! A new home/building will not have as much toxicity as an existing one. Most newer built homes are free from harmful past common household fixtures, such as asbestos, but could still have possibilities of lead paint or mold. Building from the ground up ensures that you will not have to worry about surprise mold, or a toxic paint on the walls because it is another aspect you have control over. This brand new construction has the potential to become a “green house," no harsh unknown/surprise chemicals and energy efficient appliances could save a lot of money and hassle in the long run. After choosing the layout of your new home/building, finding the right interiors to run everything, and knowing everything inside is safe, it can leave you with a huge sense of satisfaction. Building a new construction is not an easy task, but when everything is said and done, it was all your creation. You made it all happen, and it came out just the way you want it, and it will be much more appreciated and respected in the years to come. 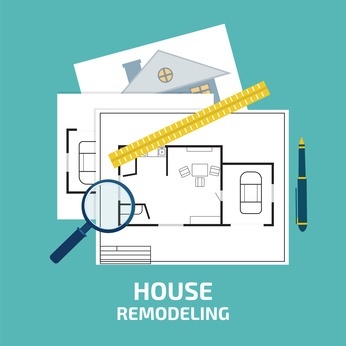 Is your home worth remodeling or is it time to list it? To stay or to go? Here are a few pointers to keep in mind when determining whether there’s more value in remodeling your existing home or listing and moving on. First, estimate the total costs of a new home purchase. Calculate selling and agent costs as well as the cost of packing, moving and loan financing. Remember not to overlook hidden items. For example, your buyer might ask that you replace the carpets before they buy. Or, there may be a need to replace appliances. Then, estimate what you may receive from the sale of your house and how much of that will be cash for your next down payment. If you like your current neighborhood and school district, remodeling is probably your best bet. This way, you get exactly what your want in your home, and you won't suffer from buyer's remorse. A professional remodeler will sit down with you to estimate the exact costs associated with crucial renovations that are needed for you to stay. Compare the costs to move and the costs to remodel. Add in factors like your community, schools, and neighbors. When all's said and done, you may discover you more equity by staying in your current home and remodeling. Plywood is made by cutting ultra thin layers of a tree all the way around the tree’s circumference. The boards are then laminated together with a hot press. The first piece is placed to roll “up," then each subsequent layer is laid 90 degrees to the one beneath it, and upside-down. The result is a natural tendency for the boards to warp as each board is pressed against the other layers. Thicker plywood (⅝” and above - made from five or more plies) is much less likely to warp than thinner plywood (¼” or ⅜”). Layers of plywood derived from an area closer to the center of the tree will always have a tendency to warp which can easily be overcome by using the correct fasteners when securing the plywood to joists or studs. The laminate that forms the plywood will diminish over time if exposed to water. It is crucial to avoid over-exposure to water during construction as to avoid damaging or ruining the plywood. Water and plywood do not mix well - if left in a damp or wet environment, plywood will rot and have to be replaced. 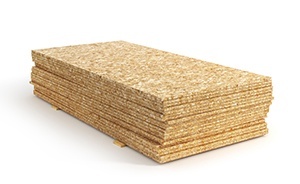 Oriented Strand Board is made by using glue and wax in a hot press to press smaller strands of wood together. It looks much like a collage of various wood chips. Unlike it’s counterpart, OSB lacks the effect of the forces that tend to warp the wood, so it is easier to achieve perfect dimensions. The one major disadvantage of Oriented Strand Board is the propensity it has to expand with moisture. The edges of OSB dramatically expand when wet. If the moisture remains in the OSB for some time, it may never return to its original dimensions. The effects of water on Oriented Strand Board are far worse than those on plywood, although in both cases the avoidance of water and moisture exposure should be avoided. 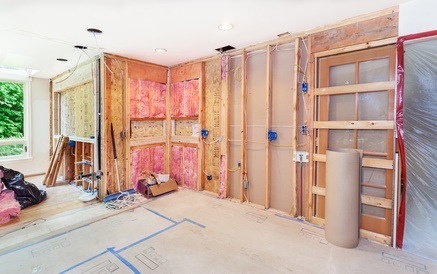 Structural Changes or Home Additions - knocking down walls may look like a relatively simple project, but unless you’re fully confident you know what’s behind them, this project should be left to a professional. 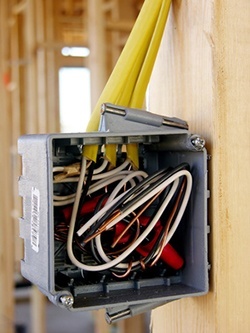 From electric wiring to plumbing or gas lines, what lies behind the interior and exterior walls of a home can vary dependent on someof factors - including the year the house was built or previous structural changes - and can spell trouble for a DIYer. 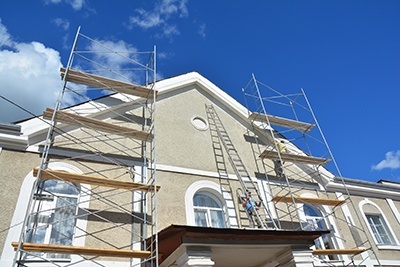 Installing Siding - appropriately and professionally installed siding is capable of lasting for many years, but siding that is not properly secured leaves room for leaks, water damage and mold or other issues that cause significant structural damage. Outdoor Kitchens - with all of the factors involved in building an outdoor kitchen, the results of outdoor kitchen DIY work can be disastrous. If you want it to bring you many years of enjoyment and less headache, leave this project to the professionals. “Lipstick on a pig” - as general contractors, we find that it’s common for people to put money into expensive, upgraded cabinets for a house with a failing foundation, or to invest in a high-efficiency furnace for a house with insufficient insulation. Listen to the professionals who come to look at your project. Be open to their suggestions. Work within a design - Some projects require the skill of an architect, some the skill of an interior designer, and often a talented builder will understand your aesthetic and help you design a good plan. Whatever you do, do not begin a remodel without a detailed floor plan. A lot of elements interact within a space — put them all down on paper and problems are caught before they are built. You may be able to attempt to create a functional space without a proper plan, but if you want both a functional and beautiful space, hire a contractor. To make an informed decision about the building project you’re considering, you’ll need to understand the logic for each choice. A new construction project offers you a fresh start. If you’re looking for greater space, better location within the area, and more accommodation and availability for the implementation of 21st-century technology, a new construction project is the best way to go. Perhaps your budget can’t handle the expense of a new construction project, though, and you can get by with a simple remodel of your current space. Remodels or expansions are accomplished quicker and, in many cases, without completely disrupting your home’s day-to-day routine. Every construction project comes with both benefits and drawbacks. To get as close to perfect in a finished project as you can, it is important to consider which drawbacks you’ll have to acceptorder to gain the benefits you’re after - and then select the project that offers the fewest drawbacks to you. Freedom of personal selection: New Construction offers you a wide open selection. Location, features, size and floor plan are all up to you - you name it, you get it. 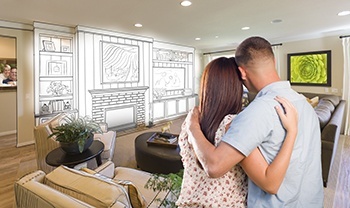 Everything is brand new: With new construction, you’re not inheriting a former owner’s problems - and, once completed, your new construction is ready to handle every day of your family’s life in it for generations to come. 21st Century technology could mean a brand new lifestyle for your family. Cost: Planners, materials, designers, construction crews, and land. There is a lot to consider - and to carefully budget. Lengthy process: New construction is usually a longer process than simply remodeling or expanding; and, with delays, it can get longer. Relocation: If land in your immediate area is too expensive or your local codes are too restrictive for the project you want, you may have to relocate further away. Quicker turnaround time: Remodeling projects tend to be completed the quickest and can often be done within an existing framework. More affordable: In general, remodeling is less expensive than completely starting from scratch. More efficient: Remodeling allows you and your family to remain in your current location, while it’s being improved. Delays and Cost Overruns: Sometimes contractors run into unexpected problems that are discovered in the process of a remodel and cause delays and budget overruns. A damaged subfloor, for instance, can be discovered and needed to be repaired before adding new tile. Necessary noise and disruption: a construction crew in your home is going to naturally cause a disruption to your daily routine during the project. 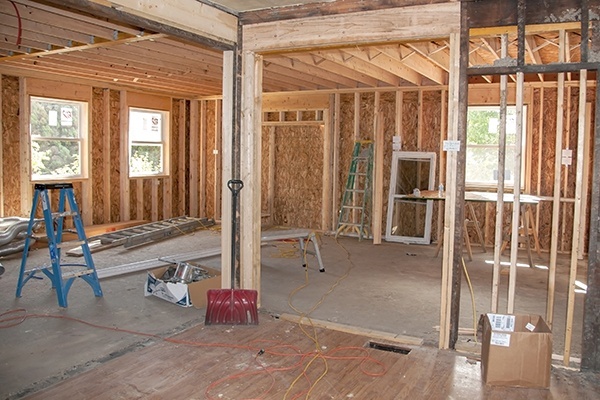 Temporary electrical power disruption, dust, and noise are just a few things to expect during the undertaking of a remodeling project. Before selecting either of these types of construction, you need to carefully consider what needs you want this building project to address. Has your family simply outgrown its current space? Do you have plenty of space, but need more functionality? Carefully consider the problems your home faces currently, and compare those with the benefits of each building project before deciding. A building specialist consultation provides you with a cost comparison to determine which process is best for you and your family. Schedule a consultation with the experts at RJ Builders and avoiding making the wrong decision. Remodeling a home for empty nesters, imagine the possibilities! At first, it may seem hard to believe. After all these years, the kids are finally out on their own; the college tuition bills are paid, and the house is finally quiet. For many “empty nesters,” this is the first chance to think about yourown desires since you started your family. Now, with an extra bedroom or two and a little extra money, your house can transform into the home you’ve always wanted. 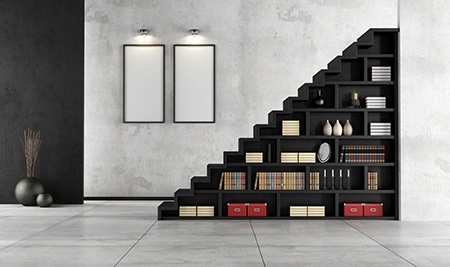 Here are a few home remodeling ideas for empty nesters, to make use of new-found space and increase the resale value of your home. Create a Guest Suite There’s no strict definition of an in-law suite, but it’s a private living area within a house. Most experts say it should have a private full bathroom and a door that separates it from the rest of the home. Some suggest that, if possible, it should also have a separate entrance and kitchen, especially if the living situation will be long-term. Have your home assessed to determine the best possible space for the guest suite? Some ideas include transforming one room into two, enclosing a garage or porch area or adding an addition. Create a Hobby Room organizing systems, including peg boards and pull out drawers create a fun place to hang ribbon rolls and store gift wrap bags and ready-made bows. Drawer organizers typically used for jewelry or makeup make a handy place to store gift tags. You can get creative or carried away. A Place to Play Another trend has a space to set up the card table. More and more baby boomers are playing games like mah-jongg, bunco, Uno, and poker. Without the kids at home, they have more time to host card parties and want a room to play. All you have to do is clear out the bedroom furniture and put in a round table and club chairs, shelving or cabinets, and wooden floors, experts suggest. Kitchen Remodel Kitchen Remodels make up about 60% of most empty nester projects. Many times these kitchen remodels include taking down walls or adding space to the house. Cabinetry is usually important, and so are the details that go into the kitchen project. Most empty nester kitchens tend towards the middle to higher end of budgets. Often professional level appliances, LED lighting, and solid surface countertops are a must. 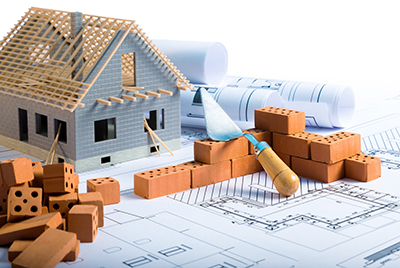 Many homeowners mistakenly believe that they can simplify a home building project by preceding the hiring of a general contractor and hiring several subcontractors to perform each job that needs doing. While this may seem like a clear solution to a large (and crucial) project, as General Contractors, we often have to show up and correct the issues this so-called "solution" has caused. 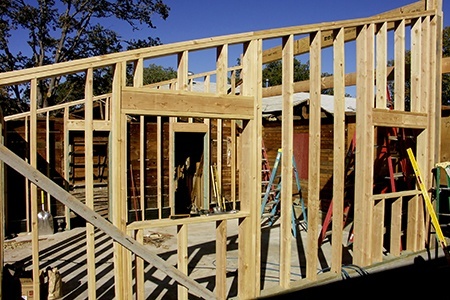 Home building is a highly complicated and time-consuming project. Even sufficiently experienced builders who possess the professional knowledge needed to complete a project, fail each year. Hiring the right general contractor is vital to run a project smoothly and efficiently. Knowledge of the Home Building Process - From start to finish, a contractor knows how to prioritize and time every aspect of the project. It's not uncommon for costs to quickly exceed budgets after removing completed work to gain access to a task that should have been completed first. Knowledge of the Building Trade - Good contractors will provide supervision all of the subcontractors, and frequently check the quality of every sub contractor's work. Building Code Knowledge - As a layman, can you look at a sub contractor's work and know if it will pass a current inspection? A good General Contractor can. This knowledge prevents you from having to pay re-inspection fees and living with the inevitable delays that follow. GC's also know the precise ins and outs of ever-changing local codes and construction requirements. Construction Scheduling Knowledge - Your General Contractor, is in charge of planning and executing an exact schedule. GC's spend a lot of time on the phone coordinating with subcontractors to be sure everyone is on the same page. Remember it is common to have 30 to 40 different subs that need to have coordinated involvement in the construction of even the most basic house. If just one subcontractor misses their scheduled time, the resulting cascade effect can negatively impact and delay the whole project. Understanding Builder Relationships - You would be correct in assuming that suppliers and subcontractors are more responsive to and flexible with General Contractors they have worked with in the past and with whom they plan to work in the future. Quality subcontractors are selective about which jobs they will consider. Good subs take into account the General Contractor's level of construction knowledge, the likelihood of completing their work without interruption, and the client and contractor's payment history. Extensive Contracting Knowledge - Do you know what constitutes a valid change order? 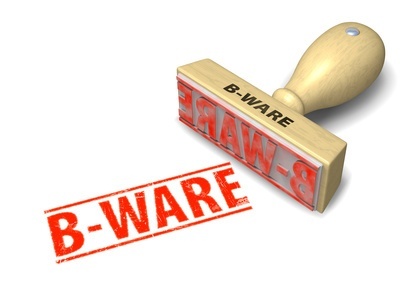 Will you know how to distinguish a reasonable change in scope from a bogus surcharge? 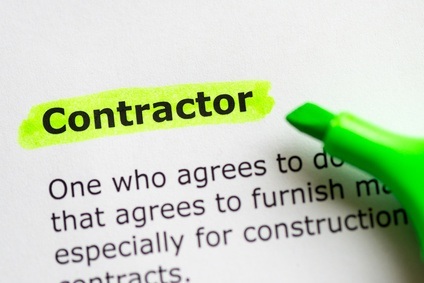 General Contractors work with contracts and subcontractors every day. They can tell you down to the smallest detail exactly what you agree to in each contract.